Evan Ronan submitted this photo and caption. 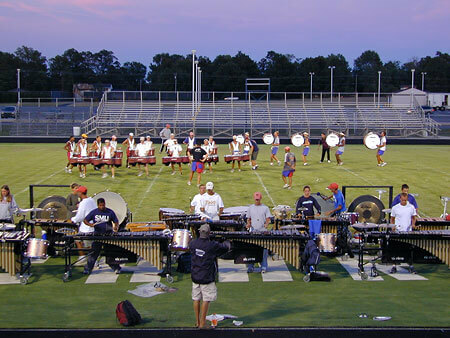 This is a picture of the 2002 Cadets drum line and front ensemble practicing at Carroll High School in Fort Wayne, Ind. The photo was passed to me from the CHS front ensemble director Mike Scheele who has really sparked my interest in Drum Corps International.